When you need assistance from a Houston, TX, lawyer, count on the professionals at Gourrier Law Firm, PLLC to help you. Our attorneys are dedicated to working closely with all of our clients. We take a personalized approach to legal representation to help our clients to overcome their legal issues. Regardless of what your situation involves, we will fight passionately on your behalf. Our firm is staffed by creative, smart trial attorneys who are driven to get results. We represent a variety of clients. Whether you were the victim of a serious injury because of another person's negligence, or you were cheated in a bad business deal, we can help you. Our personal injury cases and most of the cases we handle involving contract disputes or business deals are done on a contingency fee basis, meaning you won't pay a cent unless we win your case. We advance all fees and advances that your case demands in order to get you the most suitable settlement for your case. 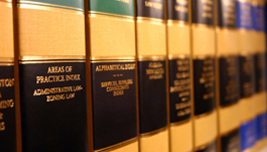 Our attorneys have the experience and the energy to fight to get you compensation. At Gourrier Law Firm, PLLC, a skilled Houston, TX, lawyer will work hard to get you the compensation that you deserve. Don't take any risks. Our professionals are ready to work for you. Call us today for your free consultation. Feel free to Call us at 281-849-1809. Gourrier Law Firm, PLLC primary office is located in Houston, Texas. The attorney responsible for the content of this web site is Joseph M. Gourrier. Past performance is no guarantee of future results.